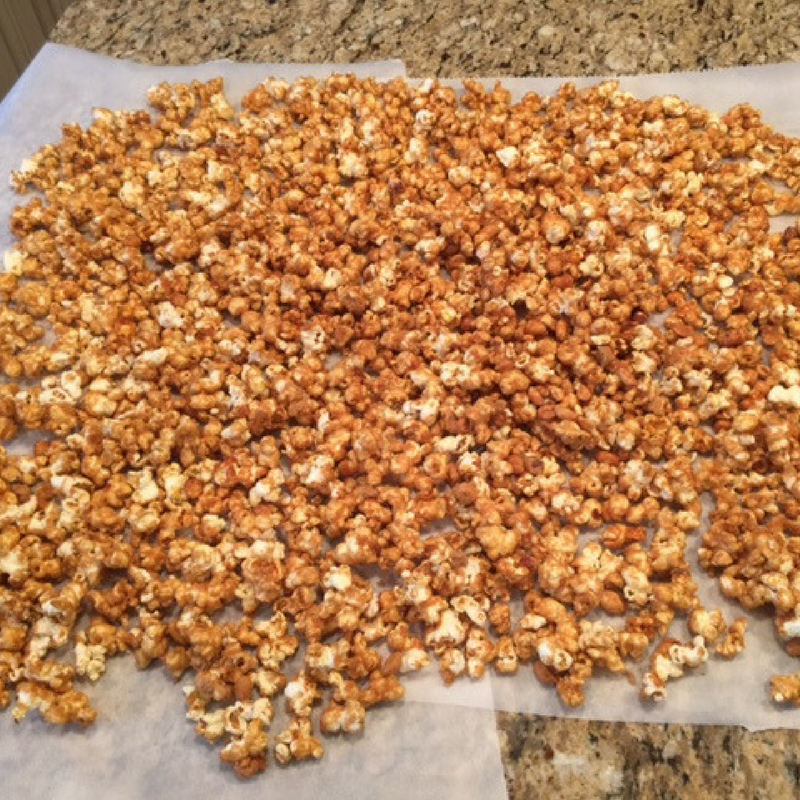 My kids gobble up popcorn by the handful, so I create different flavors to keep smiles on their faces. 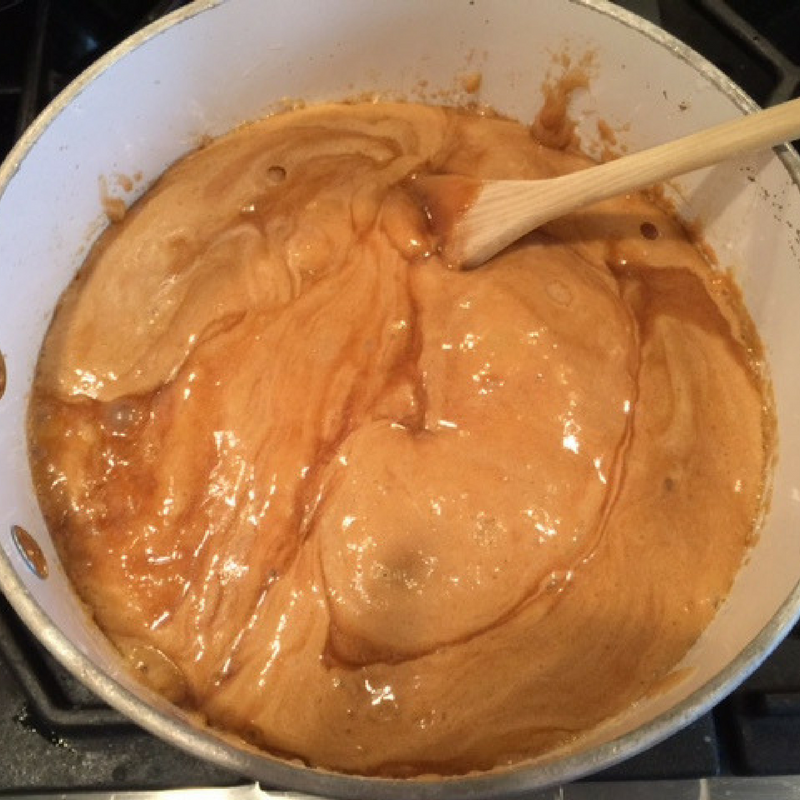 One of my favorite recipes infuses sweet caramel with peanuts (for a bit of saltiness), topped with a chocolate drizzle. 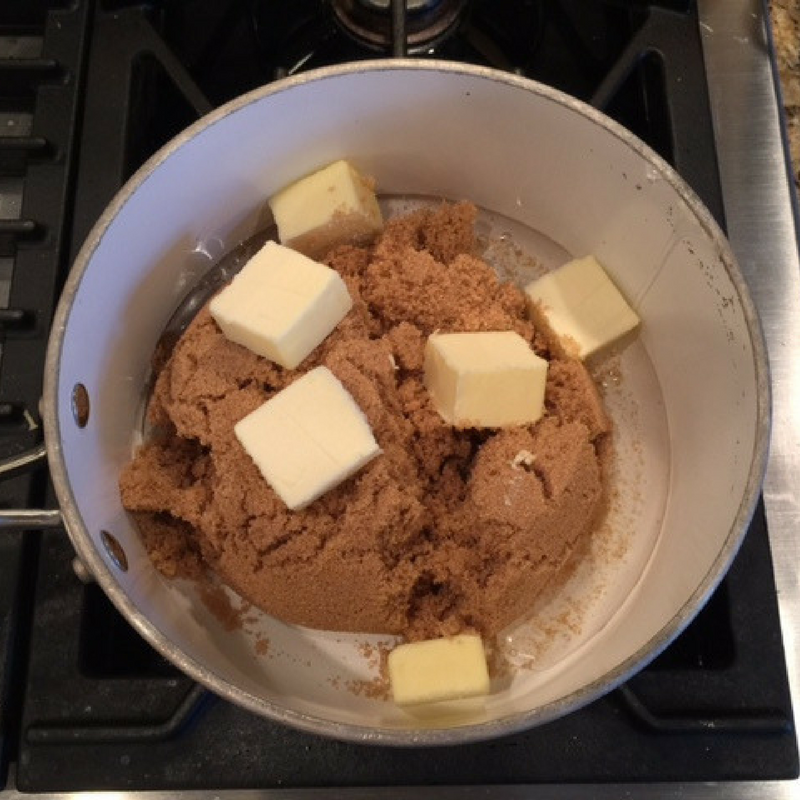 And Hiland Dairy Butter adds delicious flavor to this recipe. 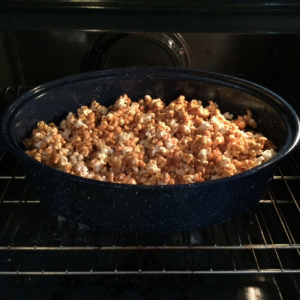 Preheat oven to 250° F. Spray large roasting pan with cooking spray. 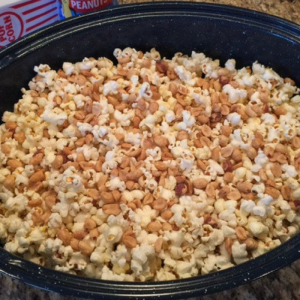 Mix popcorn and peanuts in roasting pan and place in oven. In a saucepan over medium heat, combine brown sugar, corn syrup and butter. 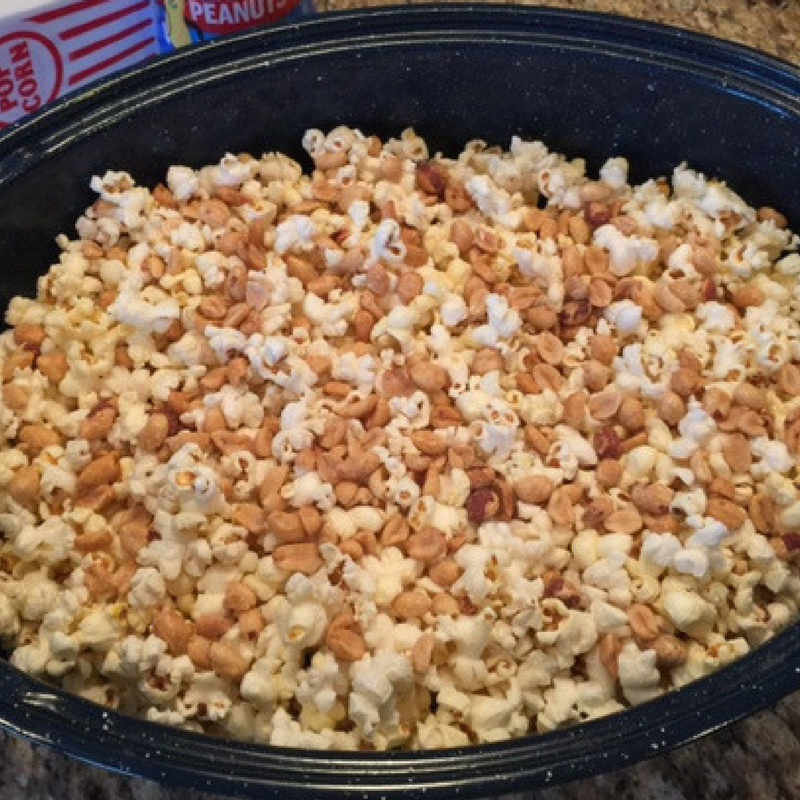 Bring to a rolling boil. Boil for an additional 5 minutes without stirring. 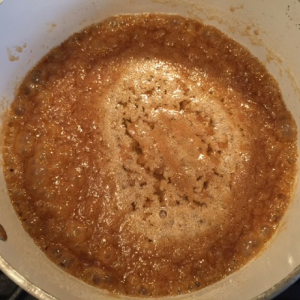 Remove from heat and stir in vanilla extract and baking soda (the mixture should be light and foamy). 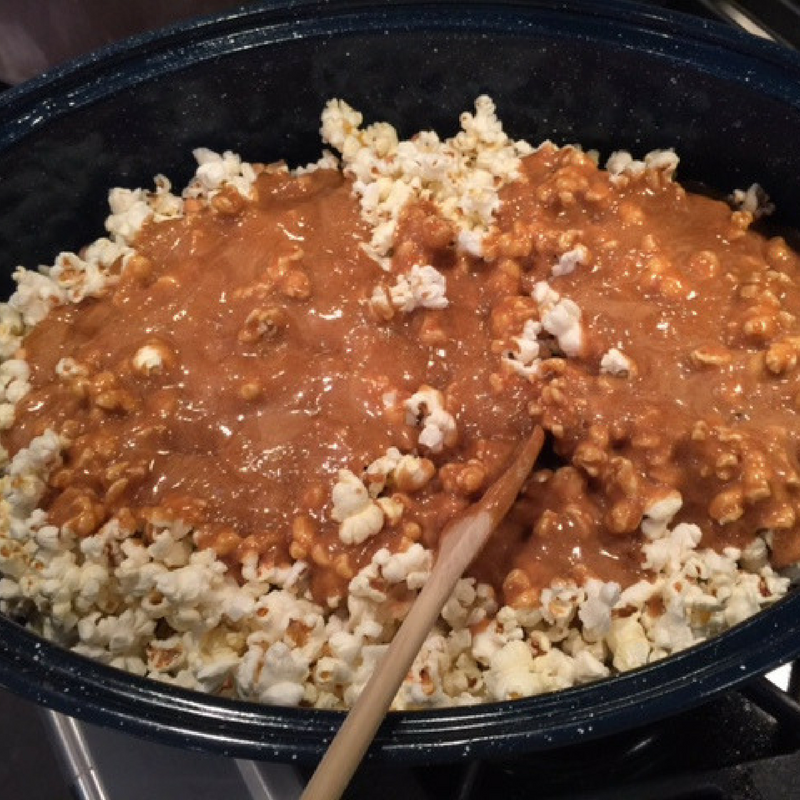 Remove popcorn from oven and immediately pour the caramel mixture over the popcorn. Put the popcorn back in oven and bake for 1 hour, stirring every 15 minutes. 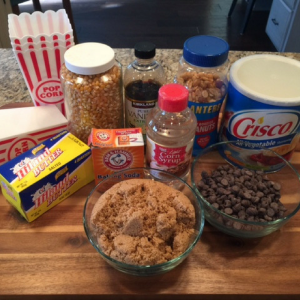 Line the countertop with waxed paper. 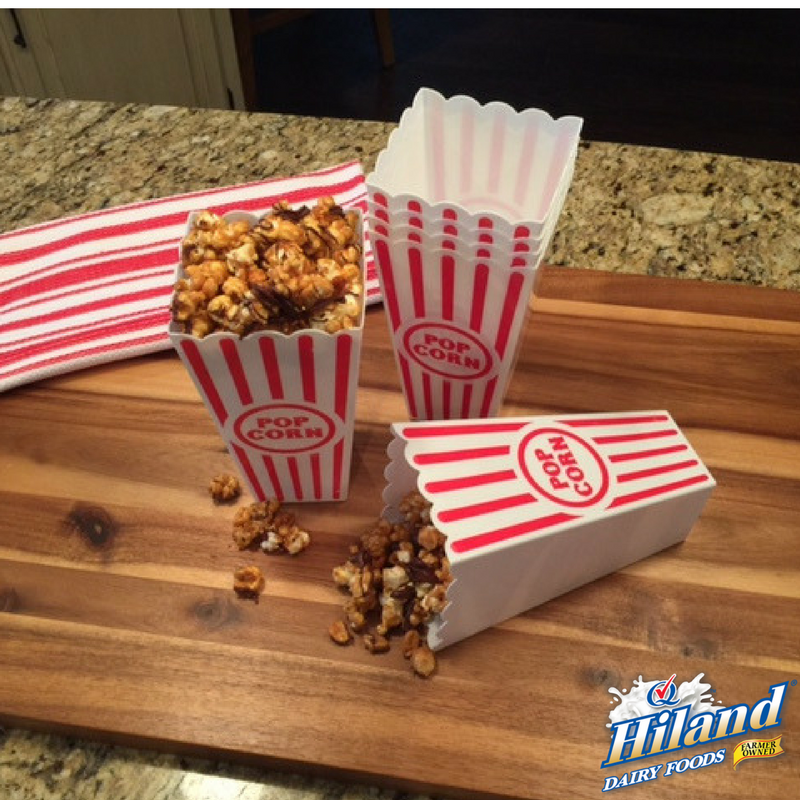 Dump the popcorn onto the waxed paper and spread evenly. Let cool completely. In a microwave-safe bowl, combine chocolate chips and shortening. 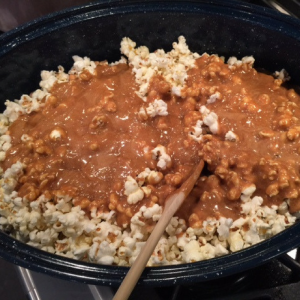 Microwave for about 90 seconds, stirring once until melted. 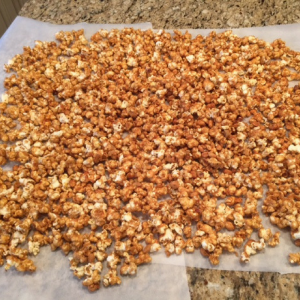 Drizzle over popcorn. 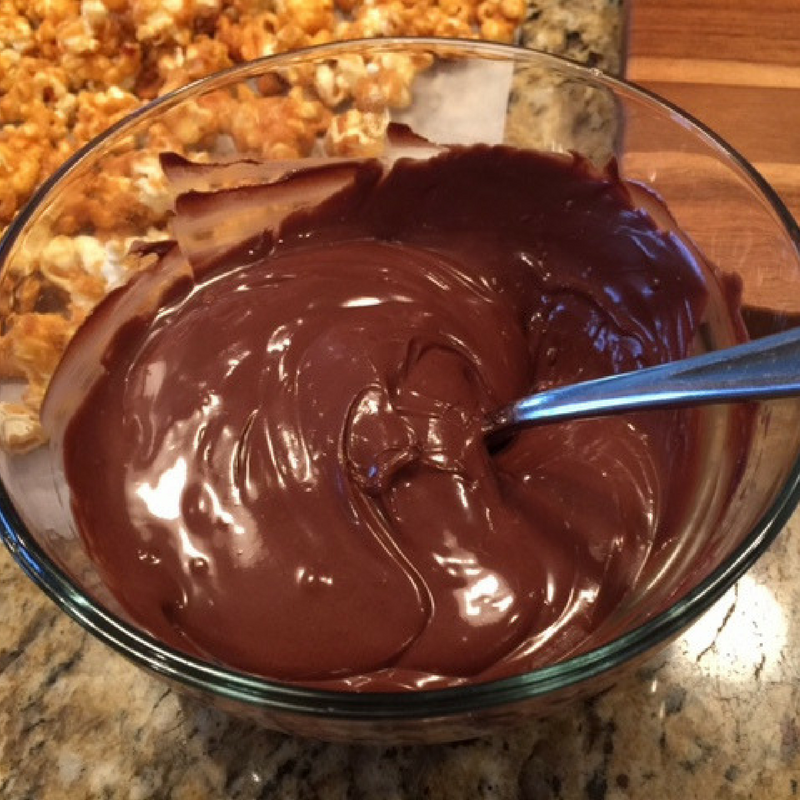 Let chocolate set before serving. You can kick up the flavor by adding a drop or two of mint or banana extract to the chocolate drizzle. And, don’t forget to serve up this sweet treat with a tall glass of Hiland Dairy Milk!